Coach 1941's Fall 2017 collection was a journey to the wild side of New York Fashion Week. Creative director Stuart Vevers outdid himself with the new ready-to-wear collection. In a spectacular production, Coach filled the runway with weeds, grass and straw. The safari-like set design perfectly matched Vevers' decorative and vintage fall collection. 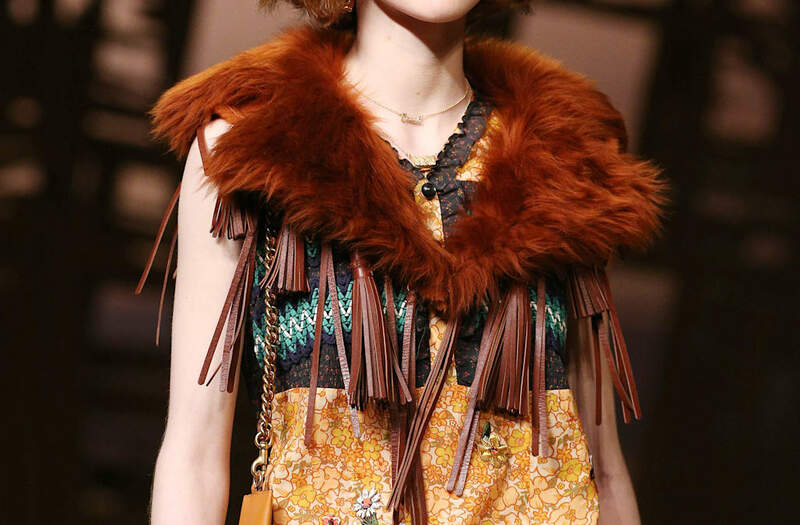 Fresh-faced models took the catwalk donning fur hats and overcoats with fur and wool trims. Vevers' brought back oversized varsity jackets with unique and whimsical patchwork. Jagged wool shearlings, trims and parkas with gorgeous floral designs took the collection up a notch. These edgy looks were present for both the womenswear and menswear. It was the first time Vevers, inspired by old school hip-hop, combined the two. "Shearling has a different attitude to fur. It's younger, it's more comforting. It's fun, " Vevers said. Coach did reintegrate its famous mini handbags, held in the slender hands of its models. In the first row sat the new face of Coach Selena Gomez, who wore one of Coaches fringed jackets and famous "Rogue" bag. Also in attendance were Millie Bobby Brown, Emma Roberts and Drew Barrymore.